Lyndon Johnson was our President. Vietnam ground forever on. Bob Dylan had yet to revisit Highway 61. It was 50 years ago that Toyota imported the first Corolla sedan to the USA. 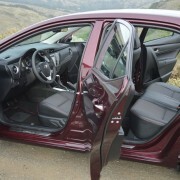 From the beginning, this light weight sub compact four door was cheap to run, cheap to buy and fun to drive. It is still all of that and much more. 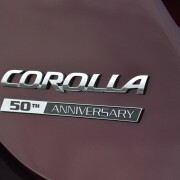 In honor of five decades of continuous improvement of that winning original recipe, Toyota celebrates the Corolla’s unprecedented longevity with a tastefully appointed 50th Anniversary Special Edition. 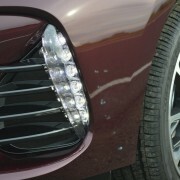 This package includes the following amenities: 17 inch machined alloy wheels with dark grey inserts, fitted with 215/45R17 Firestone FR740 radial tires; SofTex trimmed sports seats with black cherry premium fabric inserts and stitching; Leather-wrapped steering wheel with audio and hands-free controls and black cherry stitching; Black cherry stitching on dash and door accents; 50th Anniversary trunk badge and Special Edition floor mats. 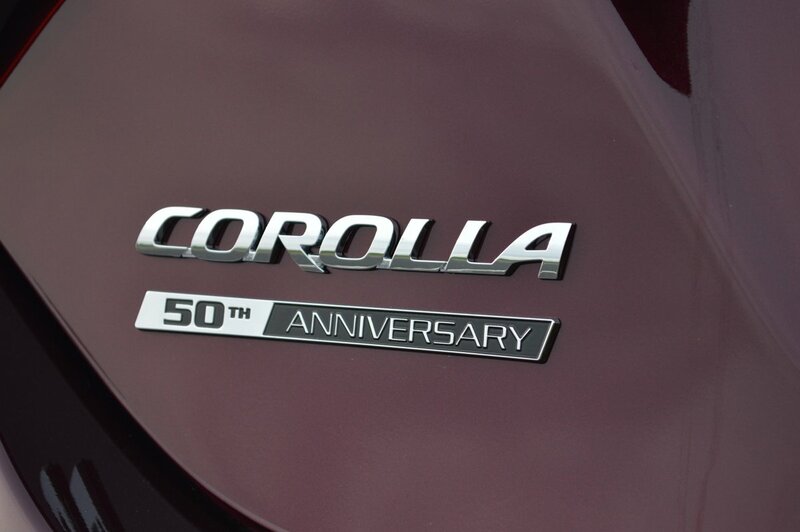 So the 50th anniversary Corolla is really quite the bowl of dark cherries. 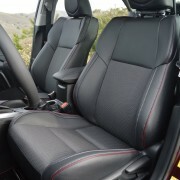 In fact, the red-accented interior treatment is exceptionally tasteful. 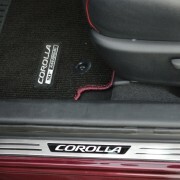 The stitching, the fabric seat inserts, even the embroidered mats are so carefully coordinated that this special Corolla makes an unforgettably positive impression. 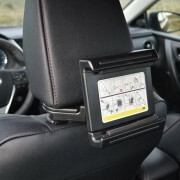 Best of all are the front seats, which are perfectly contoured to retain you in place with surpassing comfort and support. 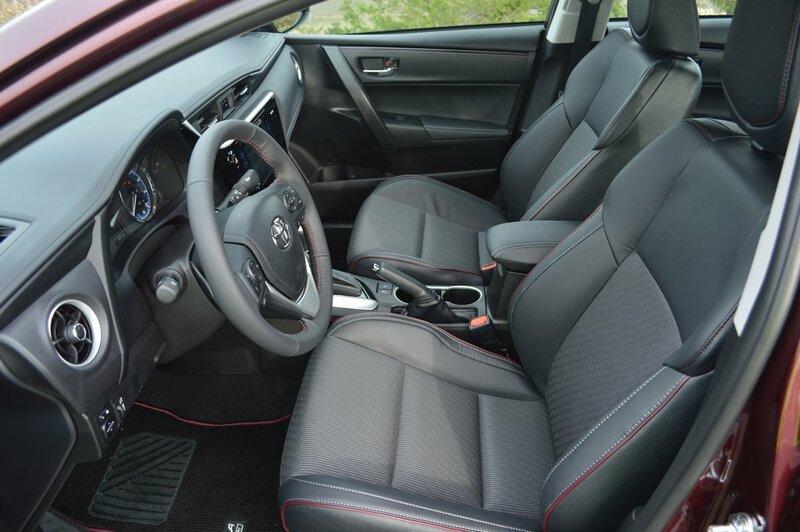 The richness of the interior belies the special Corolla’s modest base price of $21,900. Our test vehicle enjoyed a smattering of extras (power tilt/slide moonroof $850; illuminated door sills $309;paint protection film $395) that brought the delivered price to $24,497. 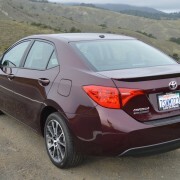 This much car for this little investment perpetuates the Corolla legend of bullet-proof affordability and value. Another hallmark of the brand is its fuel frugality. 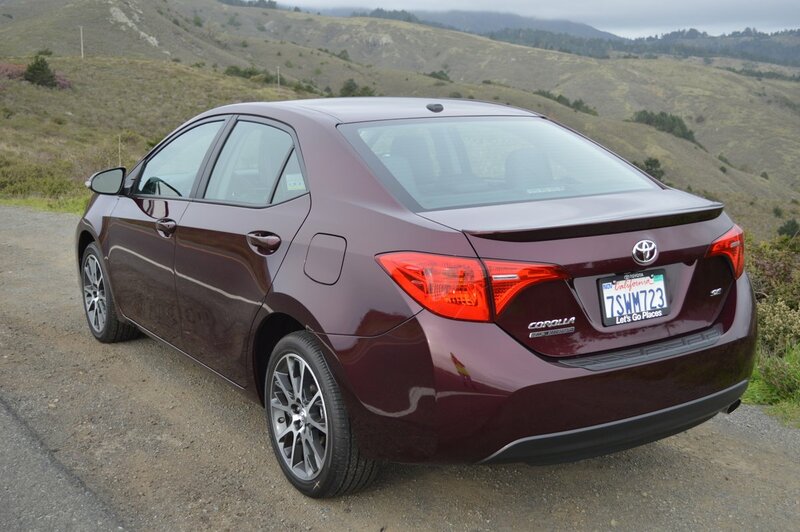 Rated at 31MPG in overall driving, the Corolla is good for 35MPG on the highway. That puts it in the 70th percentile of all vehicles tested by the EPA. 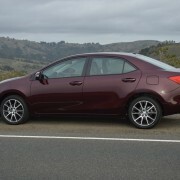 The Corolla’s average fuel cost of $1,200 is $1,000 less than the average sedan tested. There is, however, a price to pay in performance for this exceptional economy. 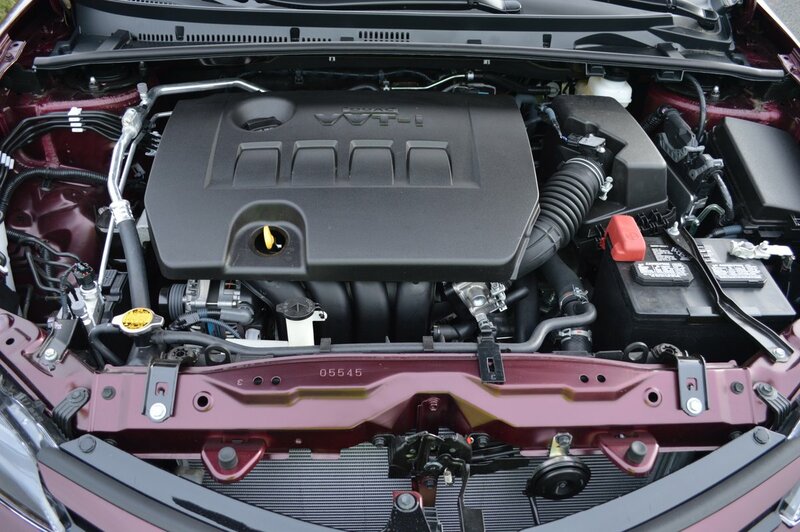 With an output of just 132hp and a curb weight of 2,900 pounds, the Corolla posts a power-to-weight ratio of 22 pounds for each horsepower. 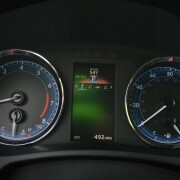 This ratio dictates that the Corolla will be one of the slowest new cars on the road, with a 0-60mph time of about 10 seconds. 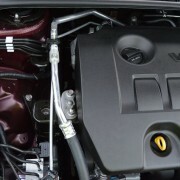 You can improve the overall response of this engine by coupling it to an available 6 speed manual gearbox. Our test sample utilized a droning CVT unit which is equipped with steering wheel paddles to help modulate engine rpm range. While the paddles do a fair imitation of mimicking a gear-based transmission, nothing beats the flexibility afforded by six real gears in a manual gearbox. 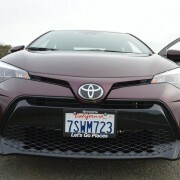 Handling of the Corolla is crisp and pleasurable. The Firestones track well, the car exhibits little body roll, and the diminutive size of this package makes for responsive and satisfying canyon bashing. 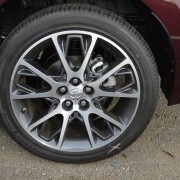 The 50th Anniversary model is equipped with disc brakes at all four corners, unlike the base Corolla which uses rear drum brakes. 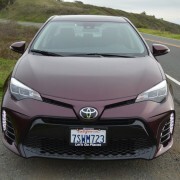 For 2017, Toyota has upgraded the Corolla’s specification sheet to include as standard the full suite of Toyota Safety Sense precautions: Pre-collision system with pedestrian recognition, dynamic radar cruise control, lane departure alert with steering assist, plus the usual traction and braking overrides. 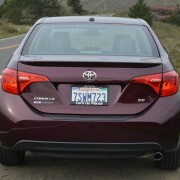 In other words, the Corolla is a vehicle you could bequeath to a teen or an elder with full confidence. 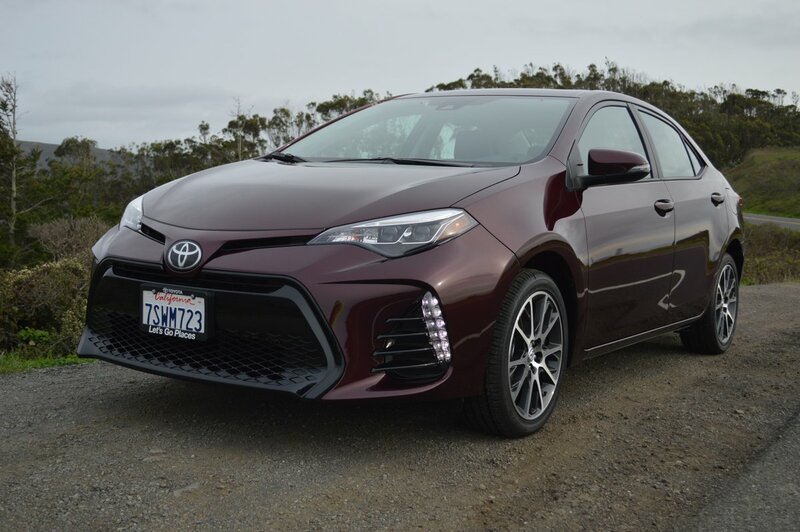 Because of its underpowered dynamic, the Corolla is slow to get into trouble, and full of systems designed to give you fair warning once you do reach the danger zone. 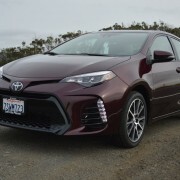 If you stop and think about all the Corolla’s competitors that have come and gone in the last 50 years, you’ll begin to understand this model’s amazing longevity. 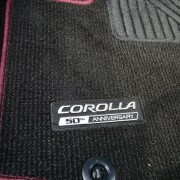 The 50th Anniversary edition is the best looking, most comfortable, most fully appointed Corolla to date. 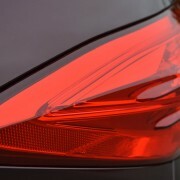 It’s good enough to redefine the concept of basic transportation. 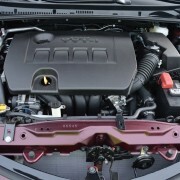 2009 Mitsubishi Galant Ralliart Review – An uphill battle with no end in sight.